For many families, the kitchen is the heart of the home. It is here that everyone comes together to cook, eat, drink or simply spend the afternoon with their loved ones. However, not all kitchens are built the same. Some are far too tiny with hardly any room to accommodate all the equipment and tools, much less more than a few people at a time. 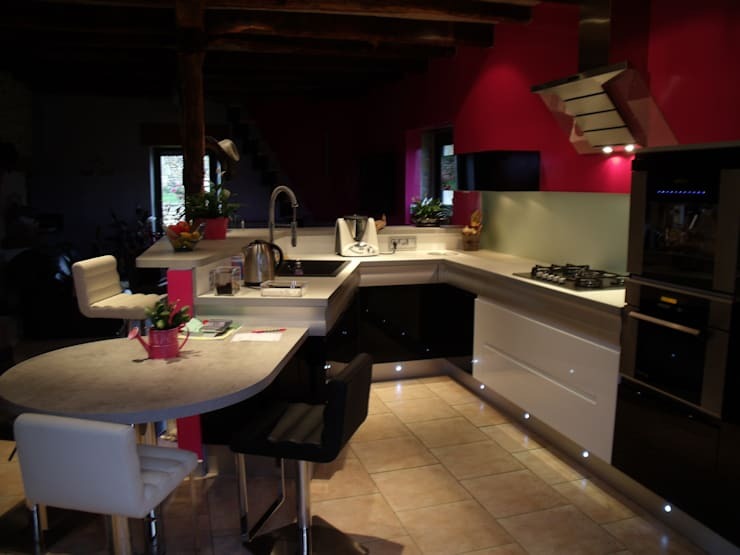 A kitchen fitted with a bar can offer more space for cooking and preparation. It also allows additional storage and – when done correctly – it can even double as a breakfast bar where residents can hang out or grab a quick bite. Here are 11 wonderful kitchen bars that are perfect for even the smallest spaces. 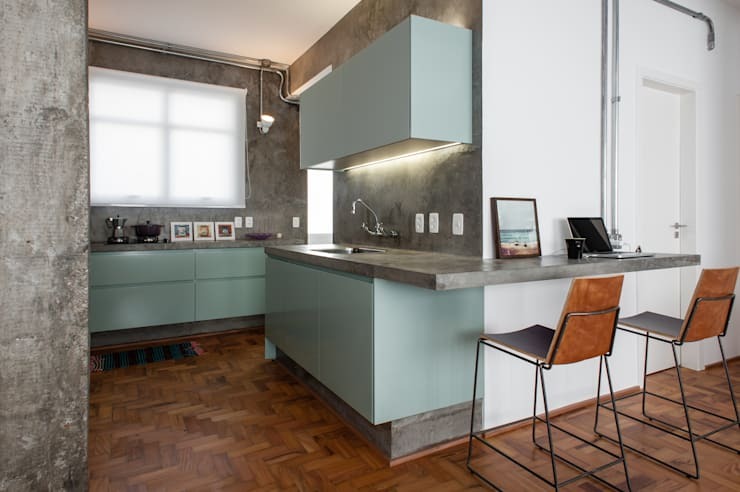 The industrial look is definitely on trend right now and this one – with the exposed concrete and open pipes – is a stellar example of how well this style can suit the kitchen. For the counter, the designer opted for gray stone that extends charmingly to the corner. The storage units are painted a friendly color and the wooden stools tie the ultra-modern design and the warm parquet flooring together. This counter exudes a very modern look with the stainless steel material. However, it goes extremely well with the wooden elements of the rest of the kitchen, from the dining table to the wonderful wooden floors. The bar, while it appears very sleek, is inviting to residents and guests who may want a casual place to dine. It even features a few industrial touches such as the black bar stools and the matching hanging lights. 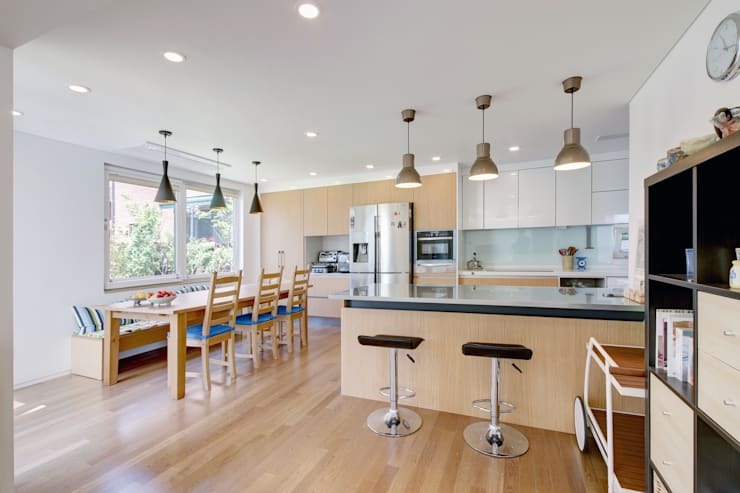 This glossy kitchen boasts a modern minimalist design that is striking. While the “U” shape is not particularly unique, two sides were dedicated as counter space or breakfast bars. The narrow bar table offer plenty of space for meals with six chairs painted a quirky red hue. The color of the seats are a nice contrast to the room’s pristine white. 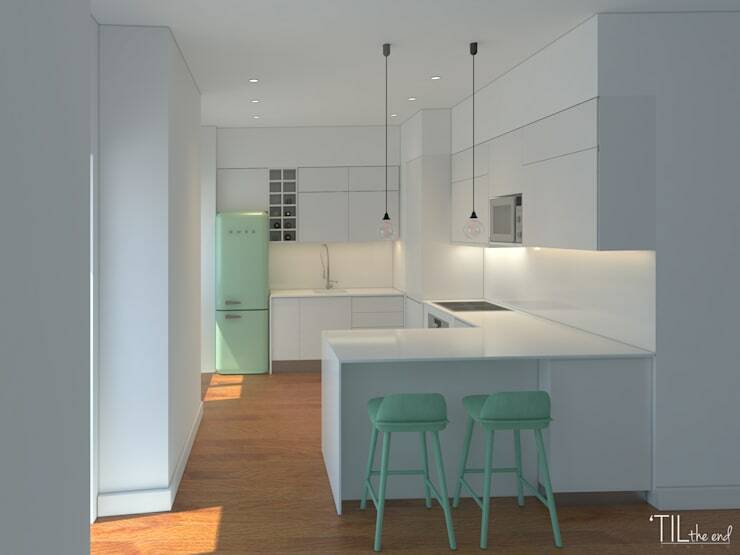 The stylish color scheme, white with cool mint green accents, is a breath of fresh air. The pop of color – on the refrigerator and stools – is a great touch, especially to break the monotony of the all-white space. Also important, the layout of the room allows for great communication between the cook and the other residents. It also makes the movement throughout the kitchen easy and fluid. 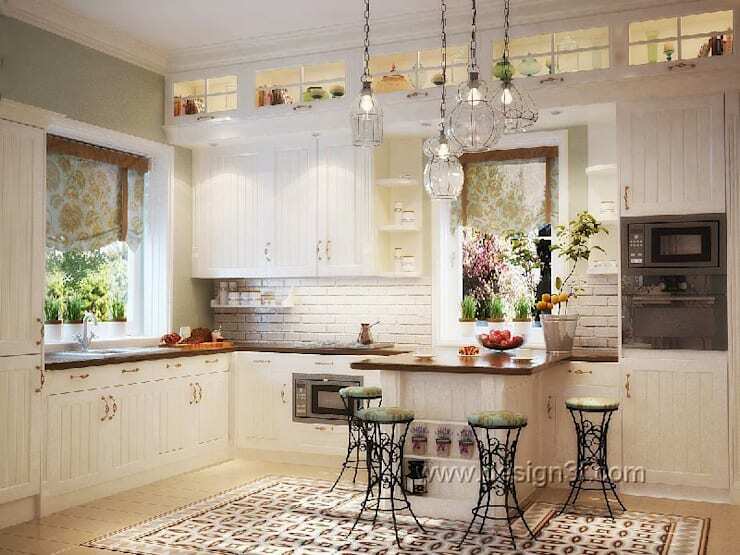 In this small kitchen, the wooden elements are the star. While innovation has led to the use of a variety of materials, the warmth and quality of wood is unparalleled. Even the four leather and wooden bar stools exude rustic charm. The garden-inspired light fixtures are eye-catching and quirky. 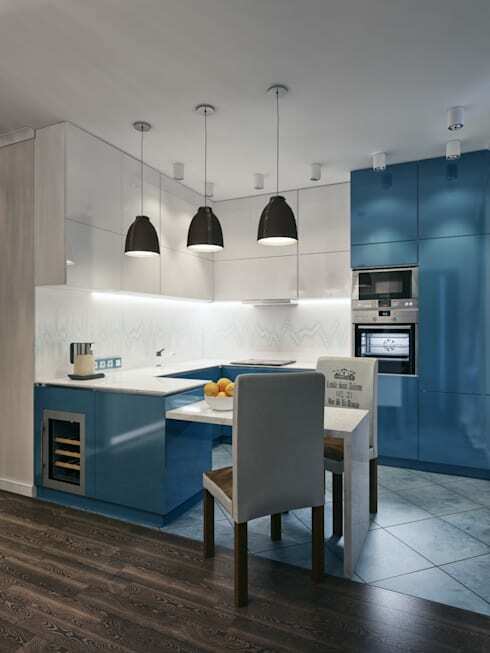 This blue and white kitchen also comes in U-shape and its integration of a dining table is quite creative. The white minimalist table extends the work space, but it’s deliberately lowered to appear separate from the rest of the cooking area. This is a particularly apt kitchen bar for a small kitchen as it isn’t too big with room only for two people. 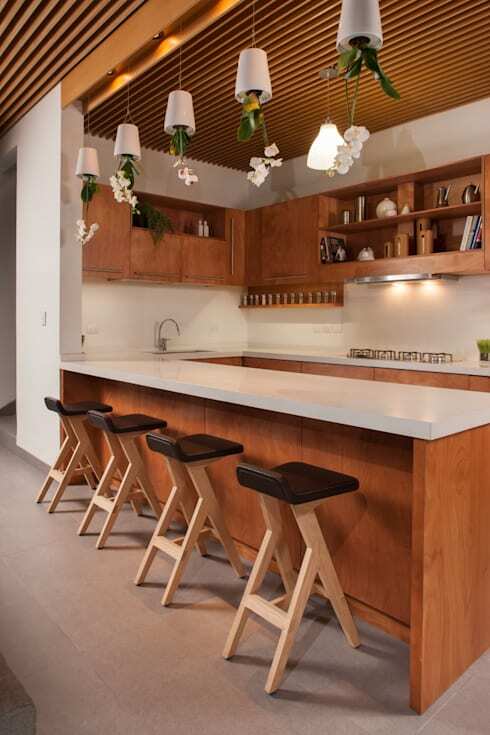 The comfortable dining chairs round up the cozy atmosphere of the kitchen. 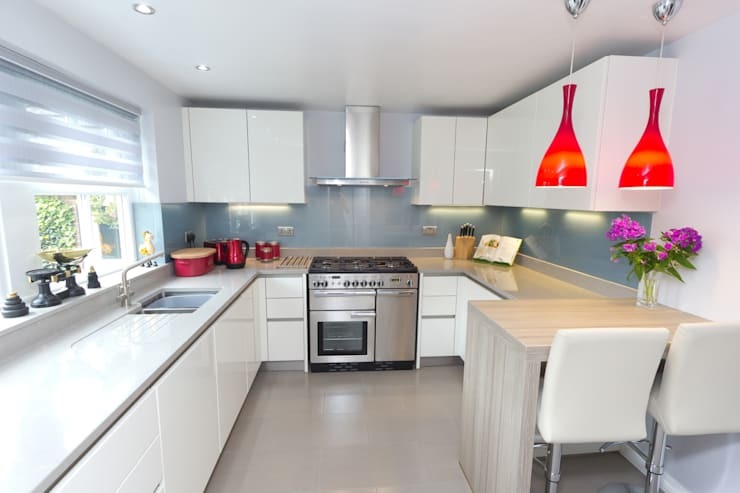 In the next example, we look at a kitchen that comes in a classic design. Instead of a traditional breakfast bar, the interior designers have simply brought the large dining table completely into the kitchen connecting it to a section of the kitchen’s work surface. The white lacquered panel creates a wonderfully warm contrast to the wooden table and the designer chairs matches the color of the wood. This is the perfect solution for a small kitchen in need of a bar. This roomy but pretty kitchen is a classic, but it’s not the size that makes it a beautiful space. The furniture will charm the pants off any guest with high-quality stools, light cupboards and tiles. A section of the wall counters jut out in the center of the kitchen, serving as a bar or preparation space. Glass light fixtures add elegance to the work area, and fresh plants provide a romantic and rustic touch. Like the last one, this kitchen is not too small compared to the others on this list. However, it is such a pleasant kitchen layout that it is worth sharing – and the design could certainly work on smaller spaces. 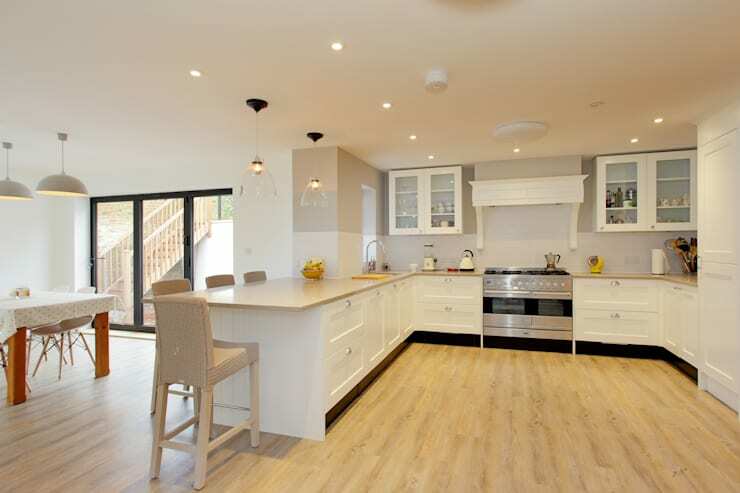 This bright and breezy kitchen is a spectacular place to cook in with a large space for working, plenty of storage to keep it uncluttered and a roomy counter-slash-bar for accommodating extra guests during meals. The pristine wood of the floors and countertops perfectly suits the stylish room. Dark hues may be present in this ultra-modern kitchen, but all of the work spaces are very well-lit and functional. 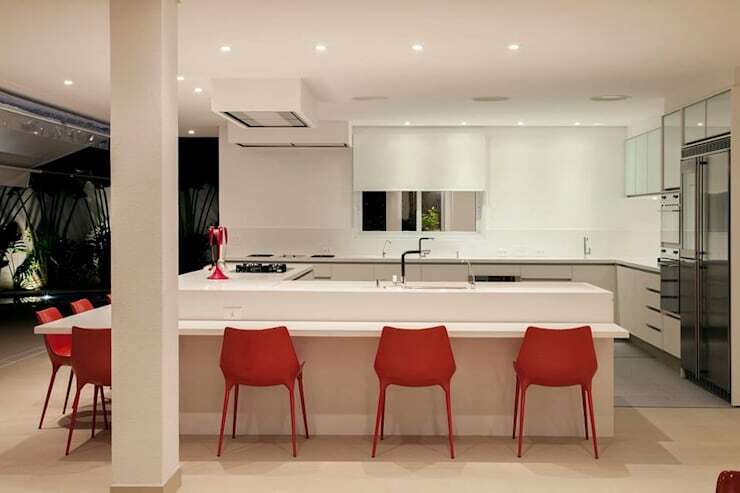 Red walls, clean lines and contemporary furniture work together to create a room that’s distinctly forward-thinking. 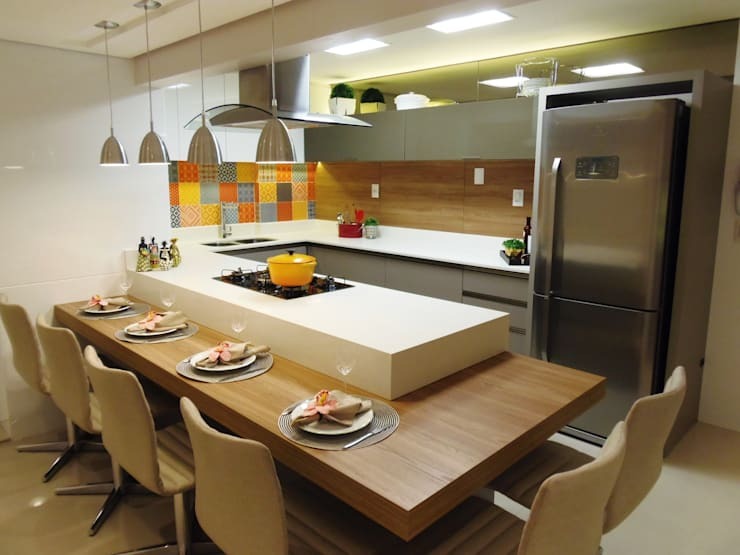 This small kitchen is equipped with two bars that not only feature different heights but also different shapes. Last but not the least is this modern kitchen that’s a very cozy space. It features a bar that seats two, ideal for smaller kitchens. While it is smaller than other counter areas, it is expansive enough to be a great addition to any preparation area. Tip: add a vase of vibrant flowers to inject a bit of color and charm to the kitchen. For more on transforming your home's cooking area, check out these 15 easy ways to improve your kitchen.